Mobi is about bringing fun back into the kitchen by taking a good idea and making it better with innovative kitchen tools like the Mobi creations 12 little Pigs in blankets silicone baking mold. 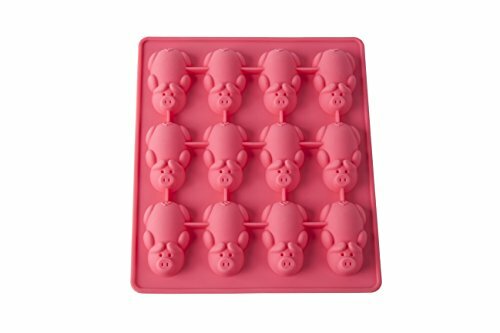 With this "fun-tastic" mold, snack time is sure to be more fun when you prepare pig-shaped treats! it is easy to use and works with mini franks, store bought or homemade pancake batter, crescent dough or pie dough. Each mold is made of high quality BPA free silicone which is heat resistant up to 500F. Dishwasher safe, clean up is a breeze! all Mobi creations are designed in the USA. If you have any questions about this product by MOBI, contact us by completing and submitting the form below. If you are looking for a specif part number, please include it with your message.